The theme for today is - anything to do with summer holidays…weather,transport,childhood holiday memories, the list is endless! 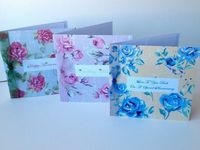 Anniversary Or Wedding,Pk of 3 Greeting Cards,'Bright Vintage Roses'Handmade. These cards i designed were inspired by summer tea parties in my nans garden. Personalised Card. Made to order, Skateboarder. Baby card there’s always new babies happening. Flowers are everywhere to be seen on hols! I’m sure you have cake on hols! !